Hardwoods used by StormMeister™ are from West and Central Africa. StormMeister Director Malcolm Snape has personally visited areas of the region where the hardwood is ethically harvested in a sustainable way mainly by village cooperatives. The money generated is of benefit to the communities and our company policy has always been not to use hardwood that is harvested on an industrial scale as often is the case in the rain forests of South America. Redwood used by StormMeister™ is from forests in Scandinavia where common policy throughout the region maintains well-managed woodlands and forests as important renewable resources. The forests produce vital raw materials, while creating minimal waste and energy use from forests and woodlands that are rich in species, diversity and habitat, making a positive contribution towards increased ecosystem stability. All timber used in StormMeister™ products is fully compliant with the Environment Agency - Timber Purchasing Policy (April 2007). 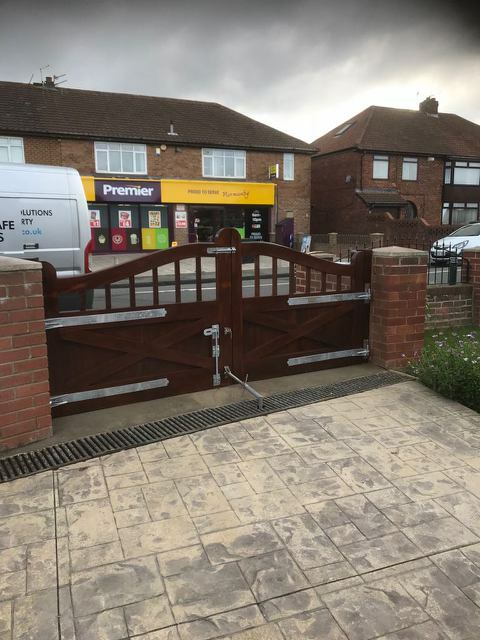 All StormMeister™ Flood Gates are made to measure and can protect entrances from small single flood gates as pictured below on the left all the way up to double flood gates of seven metres in width. 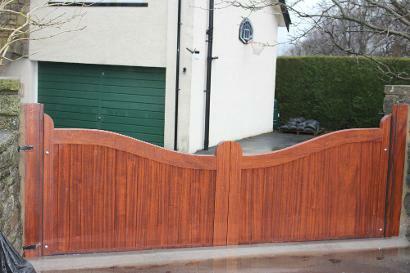 The flood gates pictured below are seven metres in width and were installed in a Flood Mitigation Scheme at Hest Bank Lancashire in association with Lancaster City Council and the Environment Agency. In accordance with the above at StormMeister™ we use ethically sourced timber traceable to the place of origin. 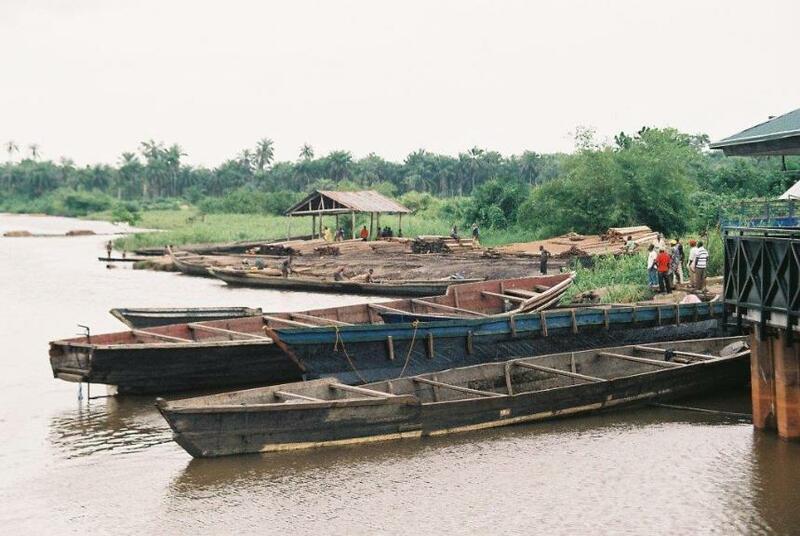 Our hardwoods are sourced in West and Central Africa and the photograph below shows timber being harvested from the African Rain Forest in Nigeria near the border with Cameroon. Note the lack of heavy machinery, much of the work is manual and carried out by local people on a cooperative basis so that the whole community benefits. Climate change and increasing urban development have resulted in more and more homes becoming at risk of flooding. In the United Kingdom there are approximately 5 Million Homes At Risk, of which 1 Million Homes are at Severe Risk Of Flooding. Owners of at risk homes are increasingly under pressure from insurance companies demanding higher and higher premiums, and where homes are at severe risk of flooding many insurance companies will not provide cover. If your home is at risk of flooding sitting back and doing nothing isn't really an option, there are many things that can be done and fitting StormMeister™ flood gates can divert or stop the flood water before it reaches your property. Company Registration Number 07323213 (Place of Registration England and Wales).